I find it bewildering that everybody got hyped in January about the so called Nokia 10 penta lens cameraphone, only to leave that rumor in the dust to rot. No trace of any other leak since then. 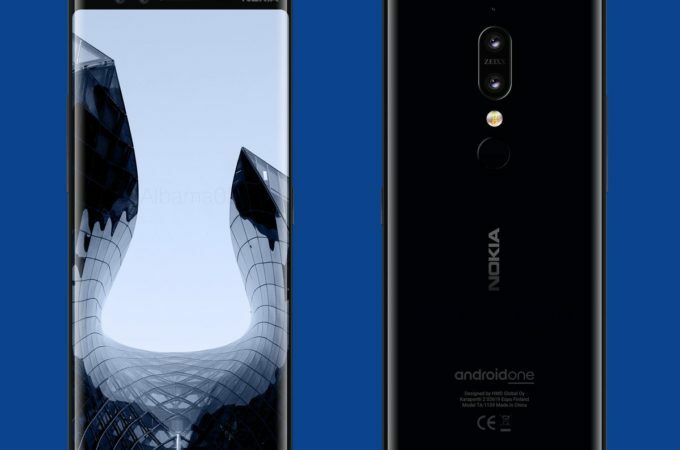 A few timid pieces of info have appeared about the Nokia 9 lately and designer Albama Fadhal has decided to turn them into renders. Let’s check them out. First of all the designer went with a very elongated approach, which we’ve seen lately on LG phones, the Nokia 7 Plus and somehow also on the narrow Galaxy Note 8. 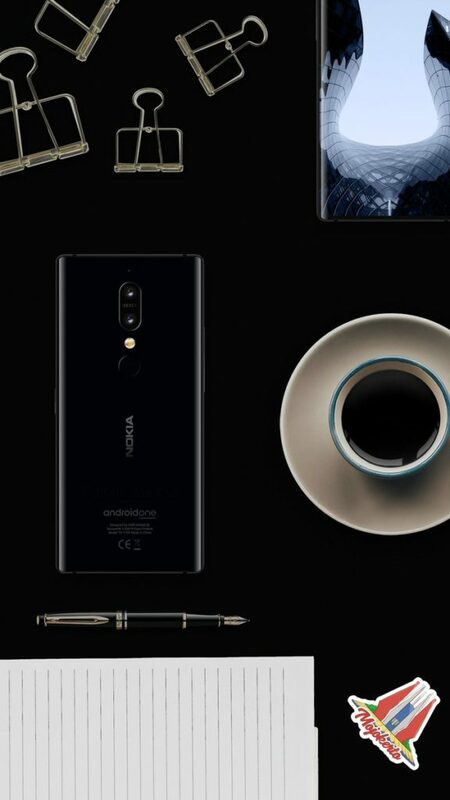 In spite of being a flagship, the Nokia 9 is somehow branded “Android One” at the back and a has a piano black finish that would feel right at home on a Galaxy Note. It kind of borrows the curvature of the screen from the Nokia 8 Sirocco, but it’s rounded all the way, front and back. I see it also has curved corners and in some regards it’s actually a bit similar to the Pixel 2 XL, only even more bezel less. 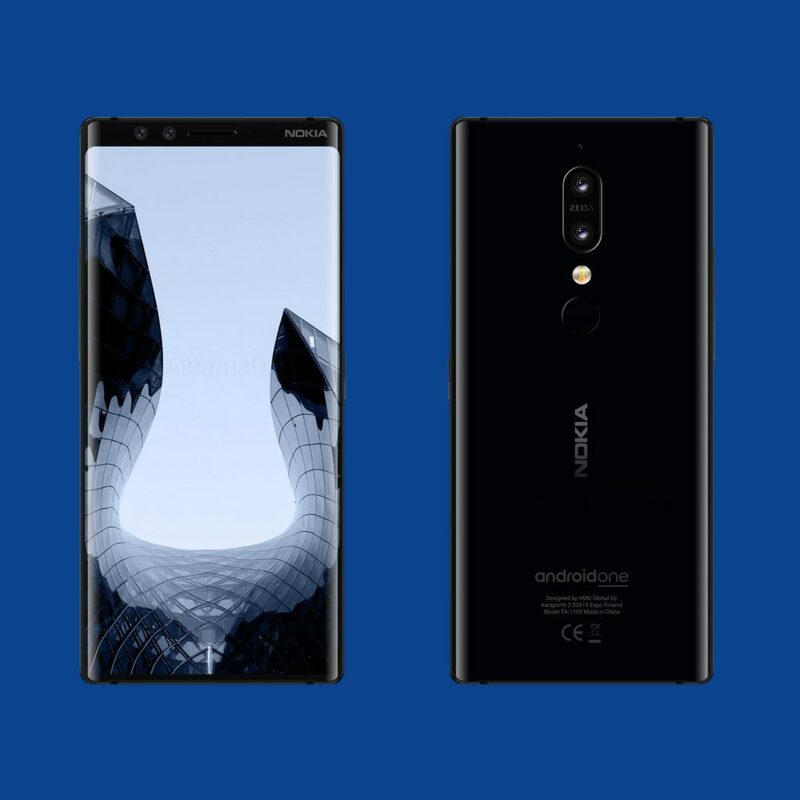 The dual back camera with Zeiss doesn’t promise much, especially since the rumors from 2017 had the same camera system on the Nokia 8 and Nokia 9.